Today’s world is a bustling place: somewhere between all of our important obligations (work, family, friends, and food, to name a few!) we need to find time to manage, maintain, and build wealth. With robo-advisors steadily gaining dominance in the financial sector, the answer to why a robo-advisor is the best option for investors-on-the-go is clear: they are available 24/7 and based on sound investment research. The increasing availability of robo-advisors makes it easier than ever to build wealth on your schedule. 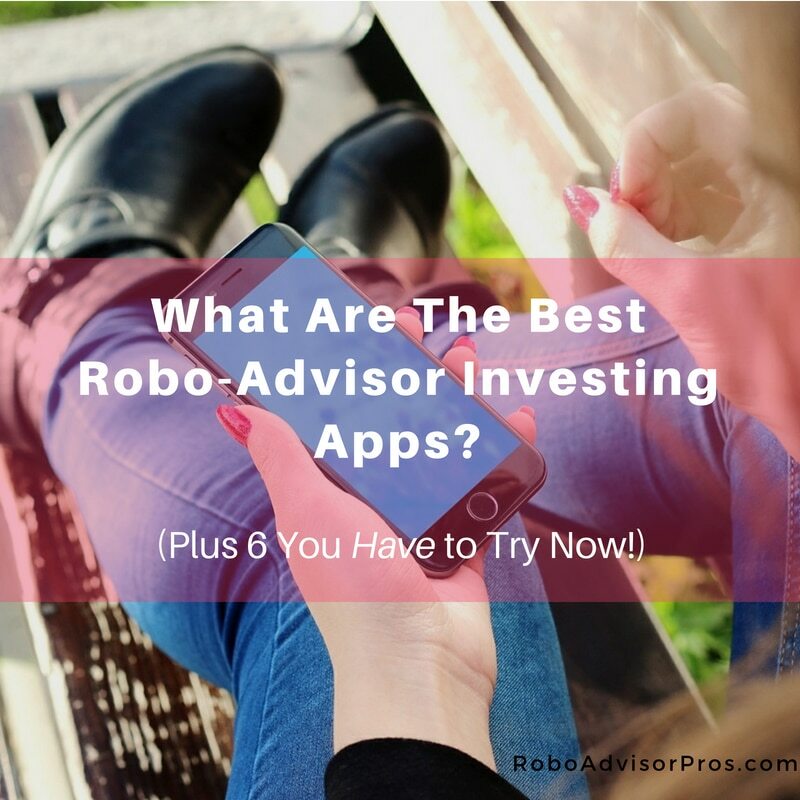 Of course, choosing one robo-advisor app out of many can be overwhelming. Where do you start? 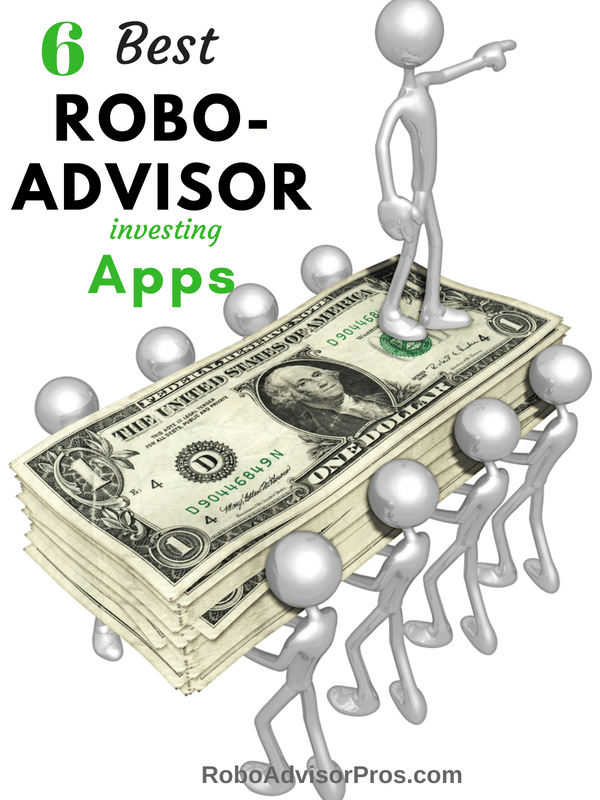 What are the best robo-advisor investing apps, anyway? Don’t worry—that’s where we come in. 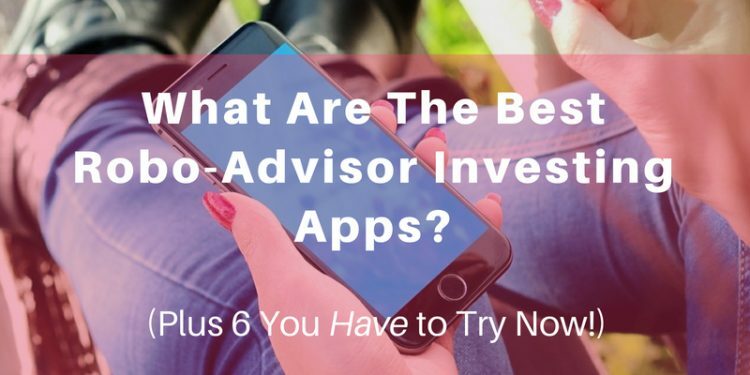 We’ve done the research and compiled a list of the 6 best robo-advisor investing apps you just have to try. Wondering where to start with a robo-advisor? We’re here to help. Check out this infographic introduction to robo-advisors if you want to know the basics! 1. Personal Capital: Want to See the Full Picture? Personal Capital is one of those robo-advisors you must sign up for if you have assets or investments in multiple accounts and need to keep track of them all in one place. While we recently touted the benefits of Personal Capital as a great—if not the best!—robo-advisor app specifically for women planning retirement, the robo’s ease of use is one of the many reasons anyone would benefit from giving it a try. Outstanding free basic features, including retirement planning tools. The ability to link accounts from multiple banks or investment companies. Easy-to-use dashboard that shows you everything—it’s like Mint.com, but more comprehensive. The paid plan gives you access to your own certified financial planner and many more features. Go directly to the Personal Capital Website. 2. M1 Finance: Start Investing with Only $100! M1 Finance is one of the best robo-advisor investing apps with a low initial investment requirement. New accounts can be started with as little as $100, which makes M1 Finance extremely accessible to new investors and those looking to dabble in the robo-advisor app scene for minimal risk. Even better: M1 Finance is flexible in that it can either set new investors up with pre-made portfolios, or investors can create their own! Customizable portfolios—just set your preferred allocations, and M1 Finance balances your portfolio automatically. M1 Funance is free with no management or trading fees. Go directly to the M1 Finance website. This is an attractive robo-advisor app because WiseBanyan is free to get started. This robo-advisor only charges a fee of 0.25% AUM on their optional tax protection package. If that wasn’t appealing enough, WiseBanyan is a member of the elite club of robo-advisors with low investment minimums. How does $1 sound for your your minimum investment amount? WiseBanyan is accessible, affordable, and very convenient to use. Many different account types, including personal investment accounts and IRAs (Roth, Traditional, and SEP); they also make rolling retirement funds over easy. The PortfolioPlus add-on gives access to a variety of additional investing options such as blockchain, precious metal, internet innovator, socially minded stocks and more. Phone help with a real human. Ability to create goals (or milestones), and to fund those goals specifically. Go directly to the WiseBanyan website. 4. Wealthsimple: No Minimum Initial Investment! Wealthsimple is another great robo-advisor app with no minimum initial investment. They offer a variety of investments, including retirement accounts, trusts, Islamic investing, and index funds. As a robo-advisor that has socially responsible investing options, Wealthsimple is a great choice for people who want to make a difference in society while still building wealth. Special investment options, such as Halal investing and socially responsible portfolios. Investment advice by a human financial advisor. Free management of the first $5,000 (or first $15,000 if you sign up through Robo-Advisor Pros!). Go directly to the Wealthsimple website and get $15,000 managed for free. Betterment is a great robo-advisor app for millennials, but it has a lot to offer any investor. Betterment is a goals-based investment manager with no minimum investment amount. It boasts reasonable fees, starting at 0.25% AUM, and becomes free for accounts valued above $2 million. 7 days a week phone and email support, as well as the option to text financial advisors with any money-related question. Opportunity to invest in smart beta, socially responsible and retirement income portfolios. Recommended goals based on your own personal financial situation. Go directly to the Betterment website. Wealthfront is one of our robo-advisors with the most AUM in 2018, proving their popularity. This robo-advisor makes it easy for investors to see whether, and how, life milestones effect your account. Thinking of buying a house in the near future? You’ll be able to see what impact that purchase has on your retirement prospects! Free account management when accounts are under $5,000. Answers to your financial questions through the robo-advisor itself. Direct stock investing for larger investors. No matter what your investment know-how, style, or needs, one of these 6 best robo-advisor investing apps can help you meet your financial goals. Many offer small initial investment requirements and low-to-no management fees for accounts, so even those nervous about making the switch to a robo-advisor app will find it easy to make a low-stakes investment to get started. Of course, not every one of these robo-advisor apps is the best fit for every investor. Some are better equipped to handle large-scale trading, while others gear themselves toward millennials and younger investors with less capital. All, however, are designed with your security in mind, so are encrypted to protect your data. Though all investments come with a risk of loss, these robo-advisor apps are designed to help minimize that loss through education, support, and user-friendly interfaces. Now the only question that remains is if you’ll be investing on your phone from your couch or the grocery checkout line.